John is a Licensed Professional Counselor, who works with individuals experiencing various mental health and substance abuse challenges. He has experience working with teenagers, adults, and older adults dealing with depression, anxiety, relationship conflict, anger management, trauma, and grief. John has experience working with people challenged by alcohol and drug dependency as well. He understands the importance of recognizing one's stage of change and helping create appropriate goals. He takes a client-centered and solution-focused approach to therapy. 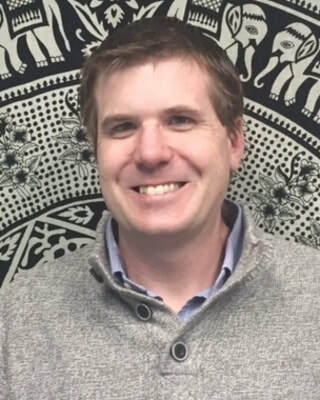 With an eclectic therapeutic orientation, John particularly favors motivational interviewing and cognitive behavioral therapy to help clients make positive changes. He emphasizes the importance of goal setting, healthy relationships, and developing self-insight. While taking the step to meet with a therapist can be daunting, John strives to create a safe space and strong therapeutic alliance. He looks forward to helping you navigate the road ahead by addressing challenges that stand between you and your best self. John is available weeknights after 5:00 and Saturdays.